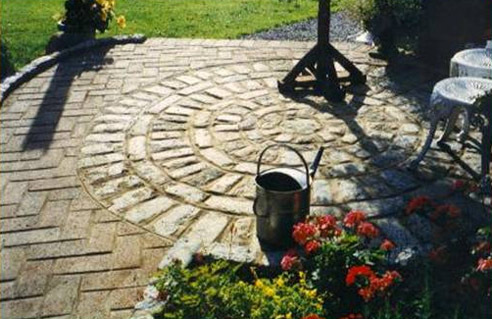 Torr Hill – Ivybridge, Devon. 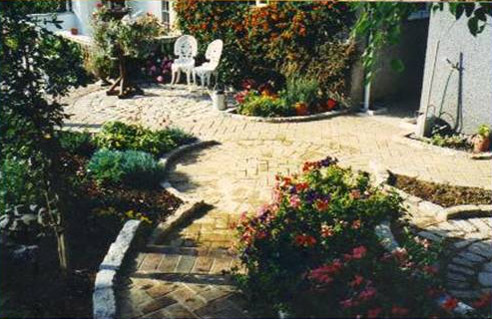 A patio we constructed for a period house in Ivybridge, Devon. 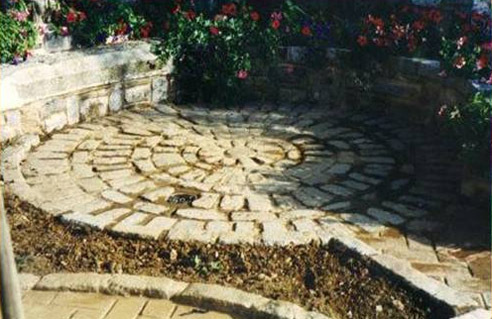 It was designed and constructed using concentric rings of reclaimed granite setts and red clay paviors which linked to curved paths. 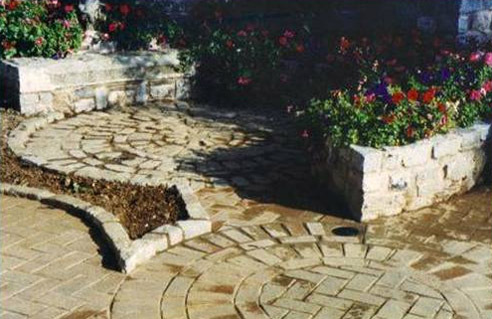 Raised planters were built and the setts formed an edge to the flower beds. 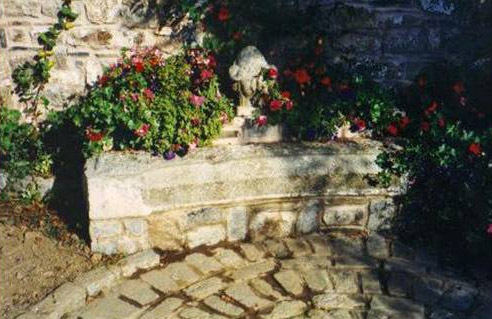 An old granite ‘arched’ lintel was used to form a garden seat. 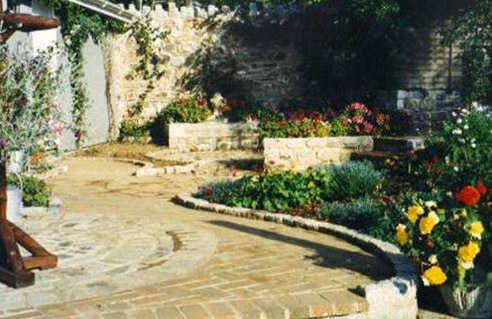 A random rubble retaining wall using granite was extended and butted up against the side of the garage wall. 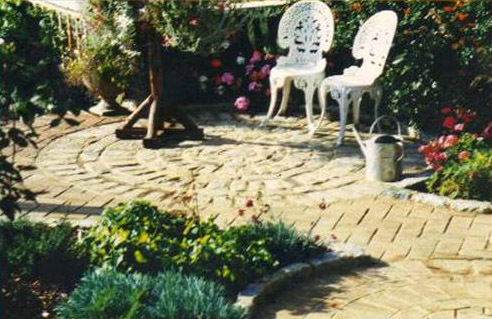 A ‘Herringbone’ pattern was used for the clay paviors. 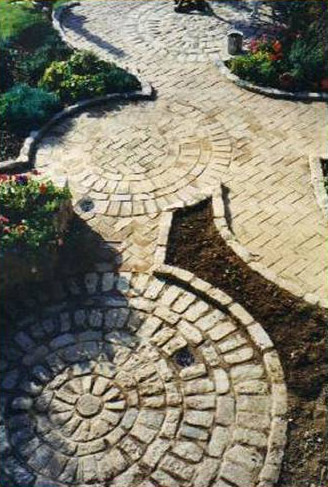 Overall the granite setts and clay paviors create a pleasing contrast.